​Casters for food service industry. 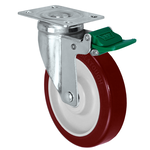 Durastar Casters manufactures high quality casters and wheels for food service industry. Hygiene plays an important when it comes to foods. 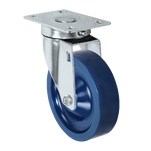 Our NSF certified stainless steel casters are not only 100% washable and well suited for wet environment, but also resistant to rust, abrasion, grease and most cleaning solvents with smooth rolling performance. 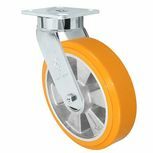 These casters are perfect for serving trolleys, service carts and many other food processing equipment. 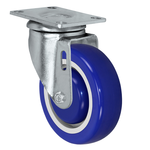 Durastar NSF certified stainless steel casters can withstand up to 1250 lbs. 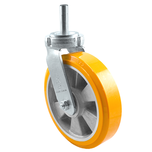 The casters applications are including food processing equipment, carts, shelves, laboratory and medical equipment.